Clear Sound. SkypeTM Certified Foldable design lets you take it on the go without having to sacrifice great audio. 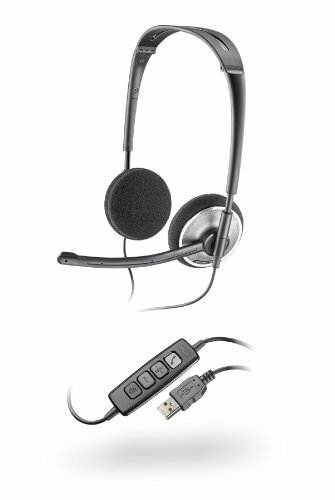 SkypeTM Certified, with DSP and noise-canceling mic to deliver crystal clear conversations. 24-bit hi-fi stereo HD sound pumping out of comfy foam ear pads make it a pleasure to stay on the call.